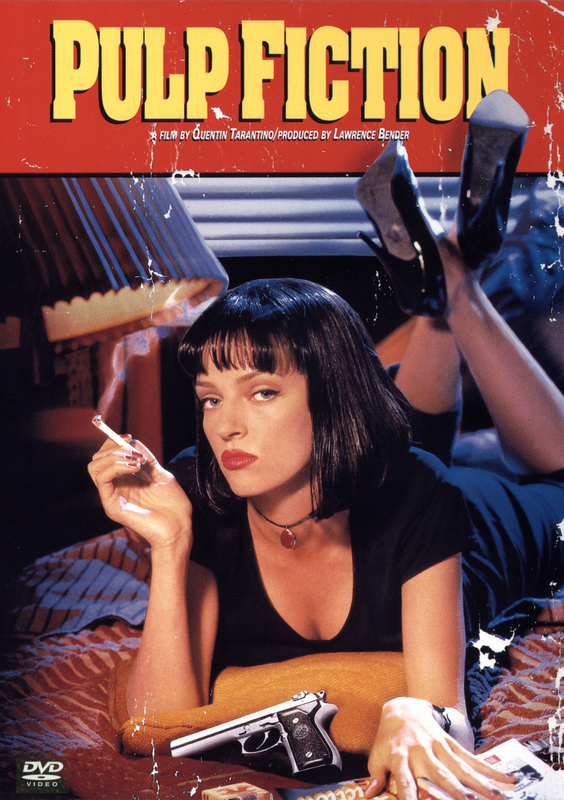 Pulp Fiction, is inevitably described as one of the classics in movie world. Although it is an outmoded movie in terms of time and year, its content for conveying society within or beyond the US is still reflective. "Dark Humors" among those "gags" commonly spread in the global society. This movie is directed by Quentin Tarantino, who also wrote its screenplay with Roger Avary. The Story is about, according to IMDb.com, "The lives of two mob hit men, a boxer, a gangster's wife, and a pair of diner bandits intertwine in four tales of violence and redemption." They are my favourite parts in the movie. Well, this movie is indeed my favourite movies and the most sarcastic movie that I ever see. It really deserves 90 or above out of 100. I love dancing scene very much and this not only teaches me more about the 90s' US culture and to realize the darkness of world, it also arouses my parents' memories to their teenager-hoods. The soundtracks are very suitable for listening at night. They are really classical and different from all urban music that what we are listening. Their songs contain no materialistic ingredient. I dare say Quentin is a genius and keen director that he can realize what the darkness of society is and presents them as humors throughout making movie. The dancing scene reflects his high taste of music and abundant knowledge on the US culture. The dancing scene was set in a 1950s'-themed restaurant, Jack Rabbit Slim'. The background music is "You Never Can Tell" is a folk song by Chuck Berry, who is a famous singer in the 1950s-80s. While watching this movie, I am always looking back on my memories on summer school trip or the first trips on Britain. This movie is quite similar to listening post-grunge music, which can also turn the street in HK into that in Holburn.